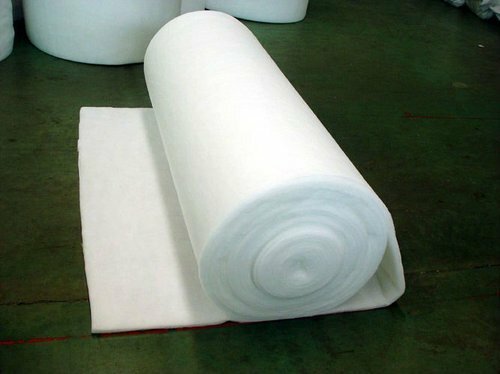 With industrial experience, We have been able to offer a wide range of Cotton Wadding. The offered wadding is designed by our deft professionals by utilizing finest quality material and the advanced technology. Known for its best quality and smooth finish, our products have earned a lot of demand in the market. In line with industry quality norms, we offer the entire range in different customized options. Made Specially for 100% Cotton Quilts, duvets, Jackets, etc. Cotton Wadding are available in max. Width of 40 inches with length upto 10 meters. Bleach and Natural color, both are available. We are facilitated with a well developed R&D and have a good financial position and TQM. Our large Production Facility makes us Competitive, Transparent & on Time. Our organization is well equipped with all the latest machinery and technologies which help in the production of durable range of products. Being an ISO 9001:2008 certified company, we manufacture our products in accordance with the internationally accepted norms and standards. The expert professionals of our organization are engaged in constant research with our range of products and always try to improvise on the design and quality to cater to the needs of the clients which help us to achieve maximum customer satisfaction.